With 30 miles of paved biking and walking trails, visitors can enjoy sweeping views of the river, scenic overlooks and a hidden waterfall. Click HERE for a Hastings trail map. The Hastings 10 Mile Loop Scenic Circuit - A ten-mile loop walking and biking trail which takes you along the Mississippi River, allowing you to practically step out onto the river on our overlook platform and watch the boats and barges tug by. Continue along the trail past Lock and Dam #2, over a dike holding back the Mississippi backwaters, and up to a gorgeous river bluff overlook. Don’t be surprised to see America’s majestic Bald Eagle soaring overhead! This loop trail will take you not only along the mighty Mississippi, but also… More along the banks of the Vermillion River, using underpasses on County Road 46/47 and Highway 61 to avoid traffic and allowing you to stop for a much needed break at Vermillion Falls Park where you can take in the beautiful, 35 foot Vermillion Waterfall. Nestled in the heart of our community, it’s a sight you don’t want to miss! The NEW Hastings Riverwalk connects two city parks located right on the Mississippi River. Levee Park is a perfect spot for summer entertainment with a concert venue unlike any other. From May through September the pavilion, donated by the Hastings Rotary Club, fills up with live music, classes and outdoor movies! 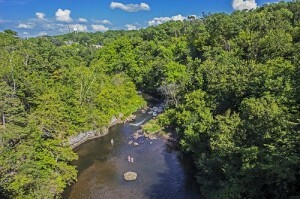 Located just off of Highway 61 on 21st Street East, the park is a treasure for picnics, exploring, and, of course, viewing the spectacular 35 ft Vermillion Falls and limestone ravine. The Vermillion Gorge Bridge provides beautiful views of the Vermillion River. 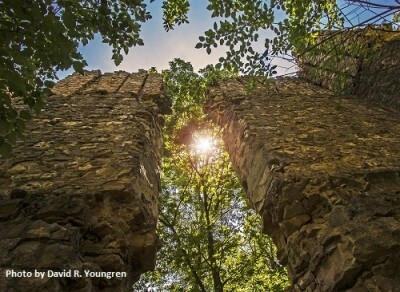 Travel back in time with a pit stop in Old Mill Park where towering pillars from the Ramsey Mill, built in 1956, still stand today. By 2020, The Mississippi River Trail will offer 27 miles of scenic views along the Mississippi River from Hastings to South St. Paul. For now, cyclists can enjoy a 7.5 mile ride from Hastings through Spring Lake Park. Click HERE for a Mississippi River Trail Map. The section highlighted in orange will be complete in summer 2020. The Point Douglas Regional Trail is a bike path that connects Hastings, MN to Prescott, WI. It also connects to multiple city, county, regional, and state trail systems. Breathtaking views and so much to do! Spring Lake Park Reserve offers hiking, skiing, biking, community garden plots, archery course, and a model airplane field. Click the link above for Summer and Winter trail maps. Also located at Spring Lake Park is Schaar's Bluff Gathering Center. The main room is available for rent to civic and private groups, while the lobby is open to all. The Center has restrooms, park information, maps and outdoor fire-rings. 20-mile hiking, biking, and cross-country ski trail near the Cannon River. Wheel passes available at stations along the trail. 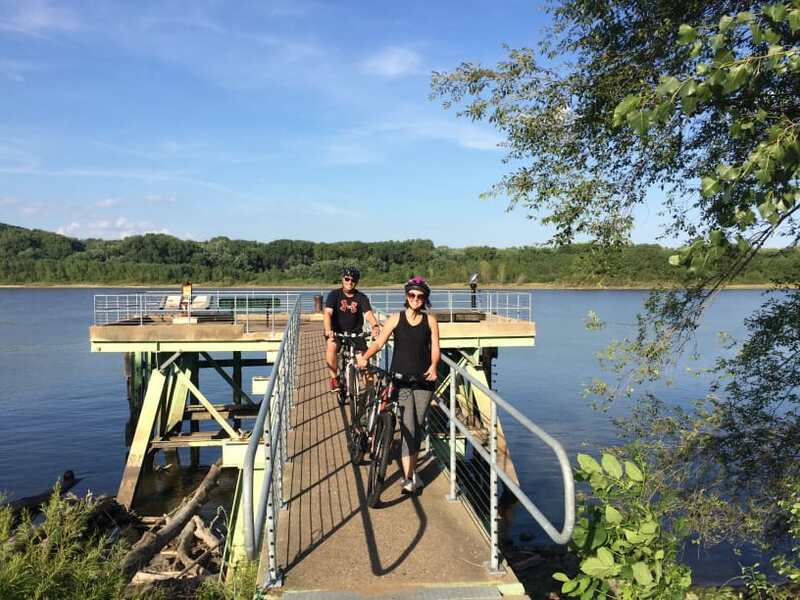 Visit the St. Croix Valley Region's biking trail page to discover the Valley's scenic bike trails. This list features trails in the Minnesota and Wisconsin region and includes our Hastings Loop Trail! CLICK HERE for a complete list of public parks in Hastings.